The Irish have a long history of standing against injustice and women were often on the front lines of resistance. 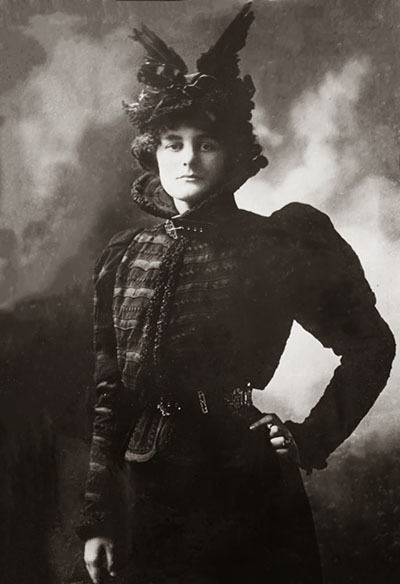 Maude Gonne was foremost among them. A tireless champion for home rule, women, and children she literally put herself between the battering rams and the cottages during the time of the evictions. There is a rich heritage here of power, hope, and possibility. I will be writing more about Maude…but first this introduction. Love that photo, as you know! Did you know that the father in the series Diwnton Abbey warned Edith not to disgrace the family by becoming a journalist like that awful Maude Gonne? Well, of course I thought of you when I wrote this. No, I didn’t know that. Have not watched that series. But….let us all be as disgraceful and Maude!!! !